Is My 911 Call Public Information? There has been a lot of press this past week about the near death of NBA basketball player Lamar Odom at the Love Ranch in Las Vegas. Fortunately, Mr. Odom’s condition has improved dramatically. As part of the media frenzy about the incident, parts of the 911 calls when Mr. Odom was found unconscious have been played over and over on the radio and on the internet. I have heard several “journalists” comment that they can’t believe the 911 calls were made public and they should be private. So, is your 911 call public information? Yes! 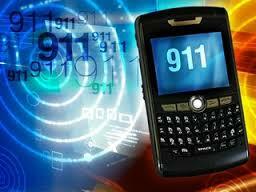 Any 911 call is public information subject to the State’s open records act. Here in Georgia, our Georgia Open Records Act (“ORA”), O.C.G.A. Section 50-18-70 et. seq., defines “public record” as “all documents, papers, letters, maps, books, tapes, photographs, computer based or generated information, data, data fields, or similar material prepared and maintained or received by an agency or by a private person or entity in the performance of a service or function for or on behalf of an agency or when such documents have been transferred to a private person or entity by an agency for storage or future governmental use.” A taped 911 call certainly fits within this definition. And citizens shouldn’t want it any other way. The Open Records Act is sometimes referred to as “The Sunshine Law” because it throws light on what your government is doing. As our Attorney General Sam Olens has said “Government operates best when it operates openly.” –Attorney General Olens. Give credit to AG Olens who has made strengthening the Georgia Open Records Act one of his primary goals. When I represent a client in which there was a 911 call made, such as a car wreck, or an injury on a business premises, or anything of that nature, I routinely immediately request the 911 calls through the Georgia Open Records Act. I do this to obtain them before they might be lost or erased. 911 calls can be a treasure trove of information. Quite often I obtain the names of eyewitnesses to car wrecks who are often never even listed on the police report. Plus they often contain a short statement from the eyewitness about how the wreck happened, stated immediately after they saw it! That’s pretty hard to beat!! So, yes, any 911 call is available to the public with a simple request and I will continue to request them in every case of mine.